Becoming a freelance copywriter can be a good way to start or expand a freelance writing business. Copywriting jobs tend to pay fairly well, which can give you the flexibility to pursue other goals such as finally finishing your novel. 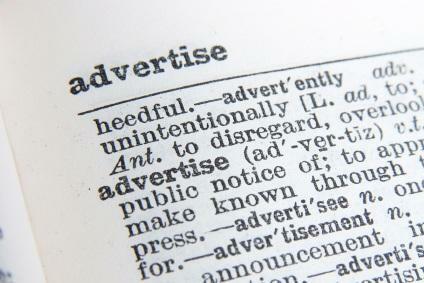 A copywriter's job is to persuade, sell, enhance, and highlight. Copywriters use their skills to create emotionally-driven copy that convinces you to take a specific action, whether that means scheduling an appointment or buying a product. You enjoy persuasive writing. Journalism involves providing information and fiction writing involves entertaining the audience. In copywriting, however, your primary goal is to convince the reader of your client's point of view. Your writing is clear and succinct. A copywriter doesn't generally get a lot of space to make his point. If you tend to ramble, this is a hard field to break into. You don't mind criticism. All writers have their work edited, but copywriting is a bit different in that many of the people who are asking for changes will have no writing background. You'll need to be able to put your ego aside in order to keep your clients happy. A copywriter can complete projects for many different organizations or he can focus on one particular type of business. For example, there are copywriters who specialize in writing about real estate, pharmaceuticals, or tourism. Specializing in one area often leads to a greater earning potential, since you're seen as an expert in the field. However, if you don't have past work experience or education in one particular area of expertise, it can be hard to get started if you're focusing on landing just one type of copywriting job. When businesses are looking for a copywriter, they are going to want to hire a freelancer who can show strong work samples. If you're new to the field, the best way to start developing a portfolio is to do a few projects for a nonprofit organization. Nonprofits in the arts, education, or health care areas have minimal budgets and are always looking for assistance with marketing. Even organizations that have a full-time marketing manager on staff often rely on volunteers to assist with special projects. If you are having trouble finding volunteer opportunities in your community, visit Volunteer Match to search for virtual volunteer opportunities that can be done from the comfort of your own home. Once you have a portfolio of work samples, you can search for copywriting jobs on specialty websites as well as general career sites like Monster or Career Builder. The LTK Freelance Writing article Job Listings for Writers provides links to a number of writing resources, as well as tips for finding work online. Becoming a freelance copywriter isn't easy. Copywriters, like novelists and journalists, face rejection on a fairly regular basis. You won't be awarded every project you apply for, but you can expect your skills to grow over time. Be patient as you're attempting to break into this area of freelance writing.